How did I acquire all those for $99, including tax and shipping? I got careless with my original $99 Tello from DJI and crashed one too many times. Now it won't launch, and IMU calibration repeatedly fails. I've also learned the important lesson that the aircraft is not indestructible, so I need to be more careful. 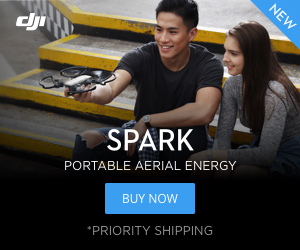 On the bright side -- provided I do not crash the one I just got from DJI via Amazon -- I now have an extra battery and charging cradle, plus all the other accessories listed above, if ever there is a need for them. For some reason the “5 propellers” list entry made me laugh. It does sound like the original Tello led a rugged life. I wondered whether anyone would notice that. Very perceptive! The ceiling also took quite a beating, er, shaving, which explains why there are bits of white stuff on the carpet. The 6th propeller was lost when the wind blew Tello into a some bushes on the perimeter of the parking lot where I was flying it. While the ceiling got an unexpected shave, the subject bush got an unscheduled trim. From the exorbitant prices for 3rd party batteries plus shipping I've seen plus an external battery charger not being available, buying a spare Tello might not be a bad idea. I have a spare battery cradle, not a charger.